Greek yogurt Wegmans yogurt Non-Dairy Greek Yogurt Cup Just $0.19 at Wegmans with coupon! 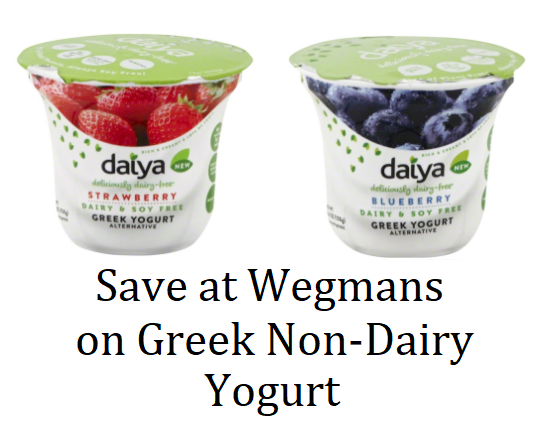 Non-Dairy Greek Yogurt Cup Just $0.19 at Wegmans with coupon! If you don't do dairy, you may want to grab this deal at Wegmans!